I am pleased to report that Googley Eyes is a fun family game that we all love. Infact the boys haven't stopped asking to play it since we were sent it to review. The game is aged at children 7+ so I wasn't expecting little man to be able to join in. However, he wasn't going to miss out on the fun and with a bit of help had a go. In essence it is a drawing game, where you don a wacky pair of oversized glasses with varying lenses to obscure your vision. Drawing prompts are divided into places, objects and entertainment. Each card has three choices, easy, medium and hard and the board dictates which you choose. 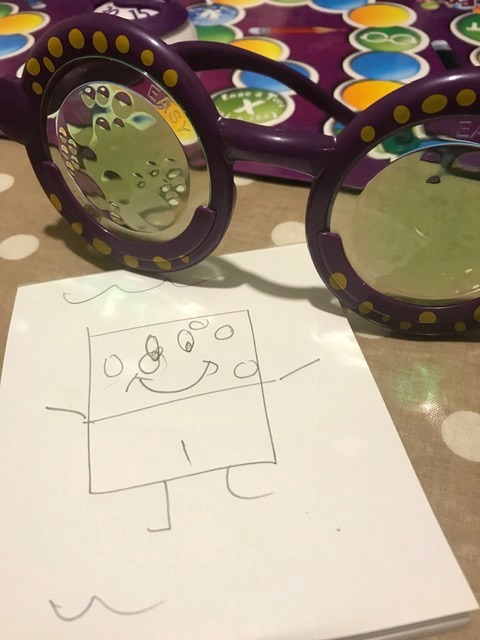 You then change the lenses in the glasses to match and start the timer to draw your picture for your team mates to guess. Here is a little vlog I made so that you get the gist. I really like Googley eyes as it is fun and the boys enjoy it. The only thing we found is that as our guessing was so rubbish (and our boys are quite young) we shortened the game a bit or it would have gone on forever. You can purchase it from Amazon. If you are looking for a fun gift for Easter for a child 8+ then I would recommend this fun game. I am also excited to be able to offer one of my readers the chance to win a game for themselves. Just complete the Gleam entry below. Good Luck! Paddington spot the difference. My daughter will love it. Sort it out sounds great! I think staccups looks like great fun my kids would love it! 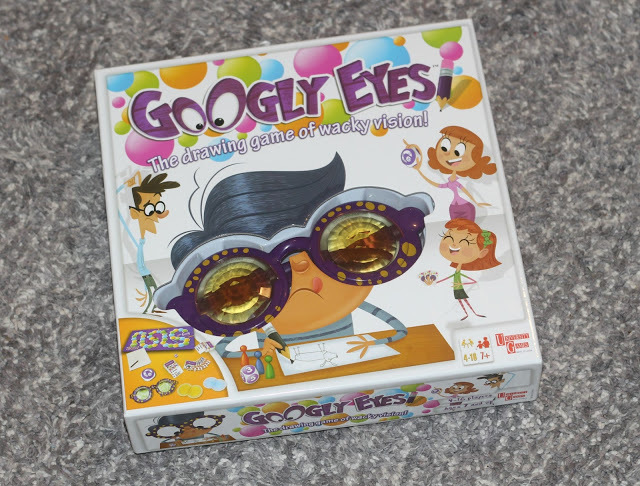 Googley eyes looks like it would be a perfect game for our house, we do like making each other look silly! 😁 5 second rule looks fun too.